The Health and Human Services Committee considered a bill March 21 that would specify requirements for Nebraska recipients of federal funds that subsidize reproductive health care. Nebraska receives funds from the federal Title X program that are used to subsidize preventive and reproductive health services, including the diagnosis and treatment of sexually transmitted diseases, cancer screenings and family planning services. Federal grant money dispersed by the state through the program cannot be used to fund abortions. • are able to diagnose and treat sexually transmitted diseases and infections and provide gynecological exams. Pansing Brooks said the funds are a “precious resource” that should be granted to providers who can best carry out the important priorities of the federal program. 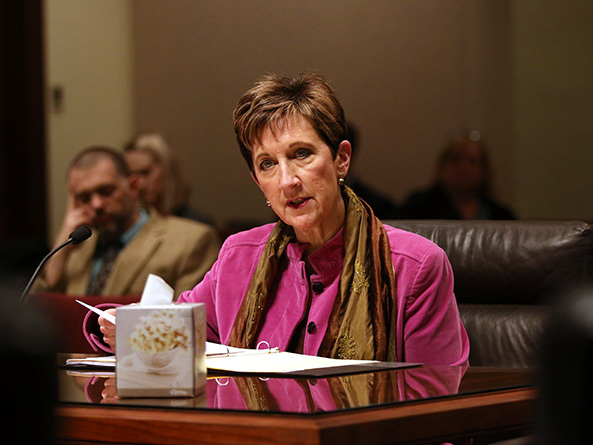 Pansing Brooks added that the bill would ensure that legislative debate regarding Title X funding—which she acknowledged can be “incendiary”—would take place outside of the state’s budget process. Scout Richters, testifying on behalf of the ACLU of Nebraska, spoke in support of the bill. She said it would realign Nebraska law with the purposes of the federal program. 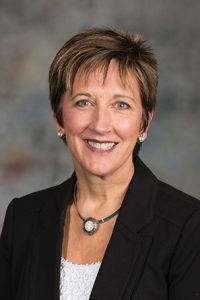 “LB629 ensures patient safety [and that] regardless of what is happening with federal regulations with the program, we make sure we have a minimum standard of care for Nebraska Title X patients,” Richters said. Tiffany Seibert Joekel, representing the Women’s Fund of Omaha, also testified in support. Health clinics that receive Title X funding often are the only point of access that low-income women have to a health care provider, she said. If low-income patients can receive comprehensive care at one location, she said, it means less cost to them in child care, transportation and lost wages. “These services are about family planning. They’re also about broader preventive and health screening services … and that’s why we think LB629 is important in requiring subgrantees to be licensed medical facilities and HIPAA compliant,” Seibert Joekel said. Bo Botelho, testifying on behalf of the state Department of Health and Human Services, opposed the bill. He said the changes made to Nebraska’s administration of Title X funds through last session’s budget process have provided clearer guidelines and ensured program integrity. In addition, he said, the language in LB629 would limit access to providers. “The four eligibility requirements established in this proposed legislation would prohibit at least one federally qualified health center that currently provides services under their practitioner’s license and would effectively ban practices, clinics and facilities that offer a … more narrow set of Title X related services,” Botelho said. Also testifying in opposition was Marion Miner, representing the Nebraska Catholic Conference. New federal rules—set to take effect in May—are meant to encourage small providers to apply for Title X funds, he said, including entities that do not offer a full range of reproductive health services. “These barriers [in LB629 would] make it more difficult for small providers serving low-income patients to qualify for federal aid, when it is exactly those types of providers who could use the aid the most to further develop the range of services they offer and to increase the reach of their work,” he said.